GTC China 2016_CUDA深度理解培训_周斌老师PPT - 05 UnifiedMemory. 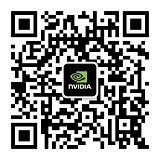 - 资源与下载 - NVIDIA 官方 Developer 论坛 - Powered by Discuz! GTC China 2016_CUDA深度理解培训_周斌老师PPT - 05 UnifiedMemory.